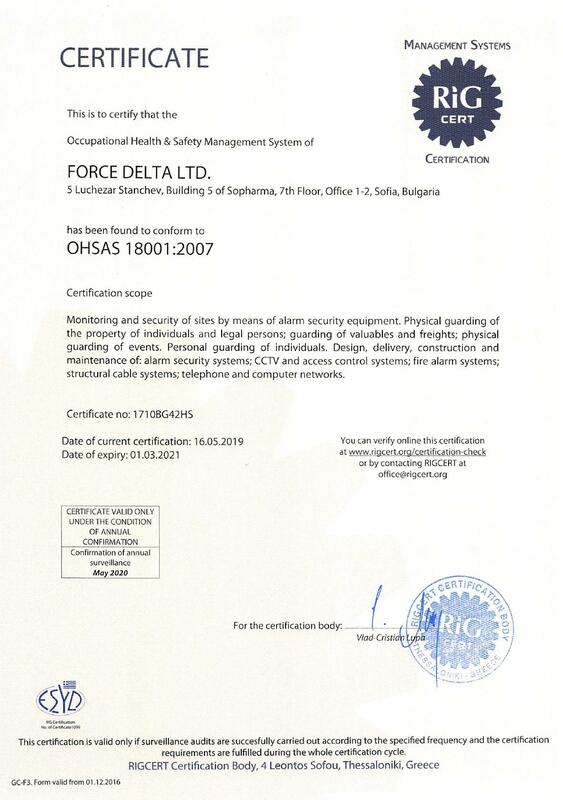 „Force Delta” Ltd. is issued License №1268, by the General Directorate „National police”, for fulfillment of all kinds of security activity on the whole territory of Bulgaria according to the act for the Private security activity. 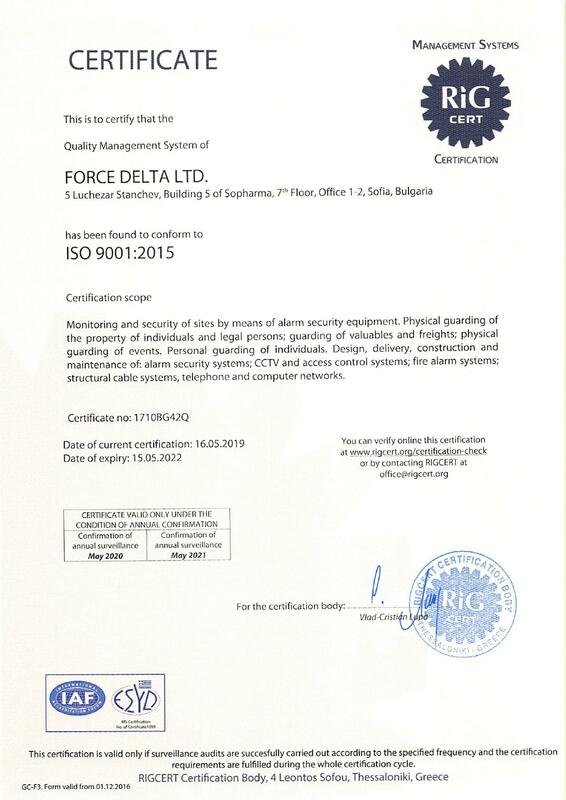 “Force Delta” Ltd. possesses a permission to use radio-frequency on the territory of the entire country, as well as GPS-system. 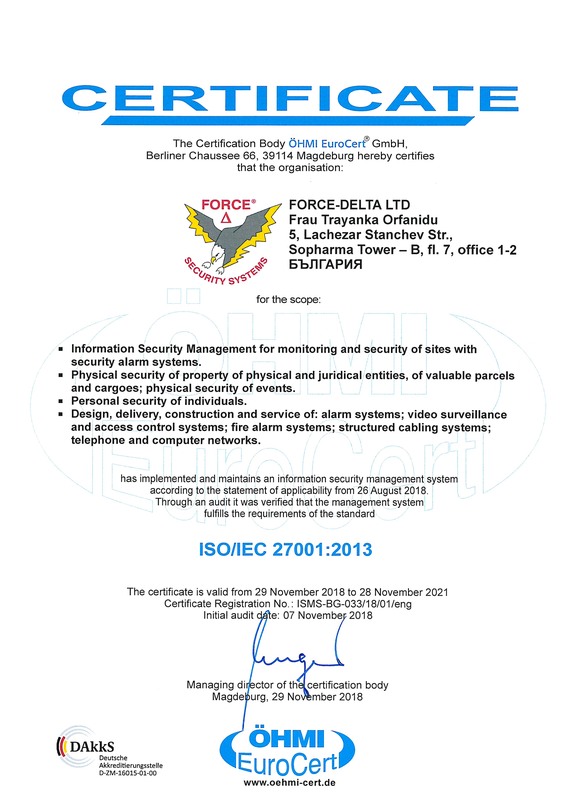 We are certified for introducing and enforcing of system for quality management according to the standard ISO 9001:2008 and we fulfill total control over the quality of the security services provided. 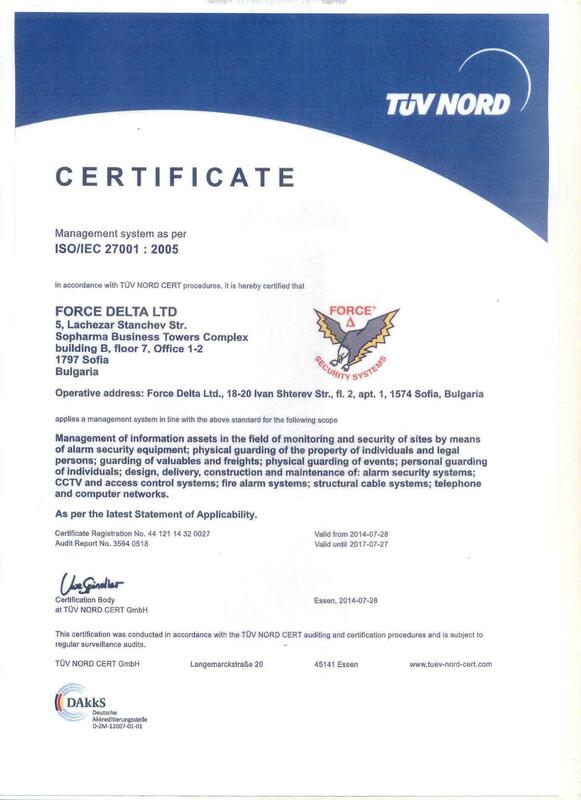 The Bulgarian Ministry of Defence, issued us an official permission, for appropriation of NCAGE-code – manufacturer’s/supplier’s code from the Codification system of NATO. 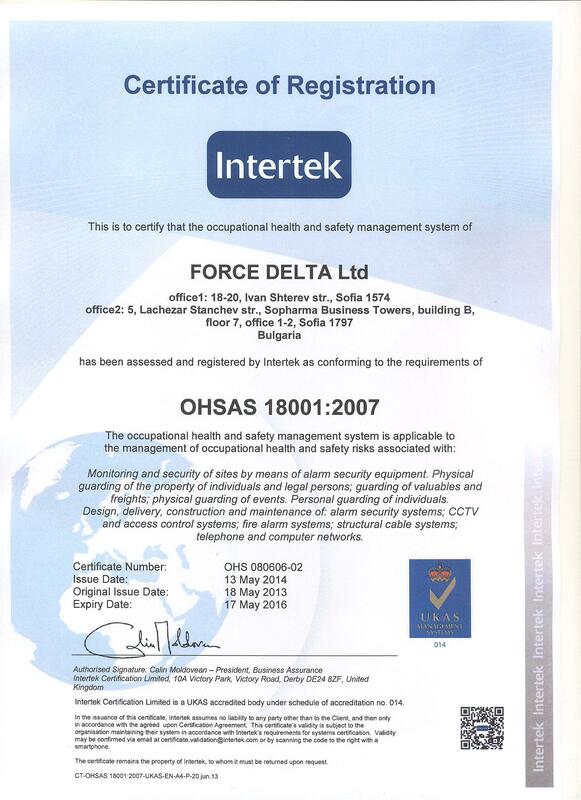 “Force Delta” Ltd. is also registered at the Central Contractor Registration which is the primary registrant database for the US Federal Government.